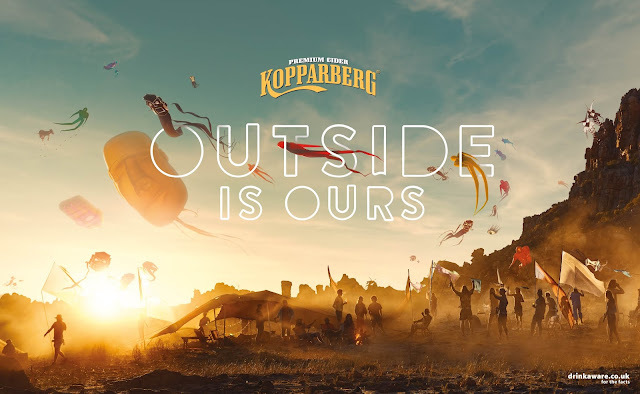 Independent creative agency 18 Feet & Rising has today launched a new campaign for the world’s leading fruit cider brand, Kopparberg, entitled “Outside is Ours”, which looks to unlock the feeling of the best of times outside with friends. The TVC depicts beautiful aerial sculptures being swept up into the sky by a desert wind, acting as a striking visual metaphor for how we all come alive when we’re enjoying our time together outside. Shot against a beautiful outdoor backdrop by director Noah Harris, of BlinkInk Films, the film acts as a rallying cry encouraging people to claim the outdoors in time for summer for good times and making memories. The ads will run on TV, out of home, cinema, digital and social from 14th May, with media handled by Goodstuff. Beyond the film, the brand will also host its new experiential platform, The Kopparberg Outsider, at various festivals across the UK, alongside a series of social activations. 18 Feet & Rising has been Kopparberg’s retained advertising agency for five years, since 2013.